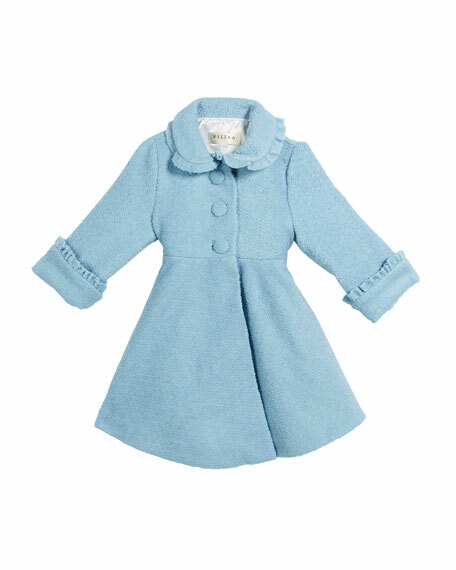 Helena lambs wool-blend coat with ruffle detail. Peter Pan collar; three-button front. Self tie detail at back. For in-store inquiries, use sku #2630056.